Aside from the ABCharms and Super Karlito Pom Pom Charms, Fendi introduces more Bag Bug Charms from the Fall/Winter 2015 Collection. Fur Monster.. Exclusive to Galeries Lafayette, Fendi will be showcasing is latest capsule collection entitled “QuTweet”. These bags are featured in the Cruise 2015 Lookbook. The.. 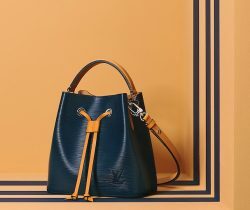 The Monster Bag Bug collection is currently available in a few Baguette forms, this time in the Classic Baguette shoulder bag and the..
Check-out this limited edition Fendi Peekaboo bag that is only available at Net-a-Porter. The bag features owl-like eyes with a leopard calf-hair..
To celebrate the launch of the upcoming Karlito charm, Fendi has hosted an exclusive Karlito Cocktail Party in their Paris boutique. The limited.. Updated as of July 2014 Presenting the Fendi Fall / Winter 2014 Bag Collection that were first presented on the Fendi Fall 2014 Runway show. New..
Presenting the Fendi Bag Bug Name Reference Guide. The Bag Bugs first appeared in the Fendi Fall 2013 Runway Collection. Last October 2013,..